Work at a salon or spa? 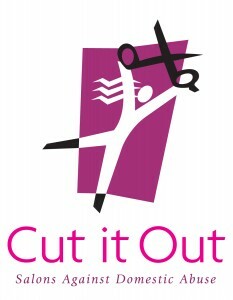 We are looking for people working in hair salons and spas to participate in a program called Cut It Out. This 1.5 hour training session will be held on Monday, October 16, 2017 at 9 am at Anselma House, 700 Heritage Drive, Kitchener. RSVP by emailing Ruth Gilmour at Ruth.Gilmour@wcswr.org or phone (519) 741-9184 extension 2000. Why participate in Cut it Out? As a salon or spa professional, you have an opportunity to help women in abusive relationships since you work in an environment where women feel comfortable and they develop trusted relationships with you. You get to know your regular clients in a way that may help you notice signs of abuse that others may miss. recognize the warning signs of an abusive relationship. And we’ll provide you with resources so your clients know how to get our help! By giving us two hours of your time, you can help women move beyond violence. The next training session is MAY 1, 2017 at 9am. We are grateful to the salons and spas who have had one or more staff receive Cut it Out training. We also appreciate the schools that have had future salon and spa staff trained. The Centre for Research & Education on Violence Against Women and Children brought the idea to Canada and created the program being used in this country as part of the Family, Friends and Neighbours project which receives funding from the Province of Ontario. This initiative has attracted media attention. Watch, listen and read it.